Click ’em – flick ’em – stick ’em! 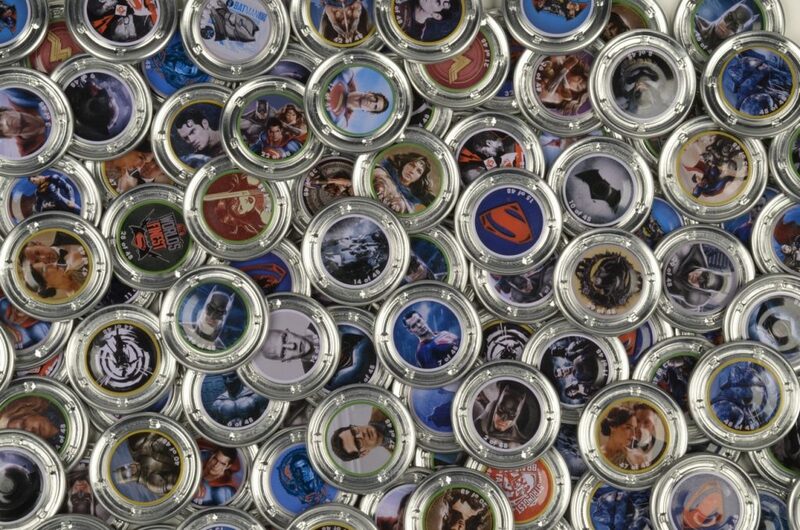 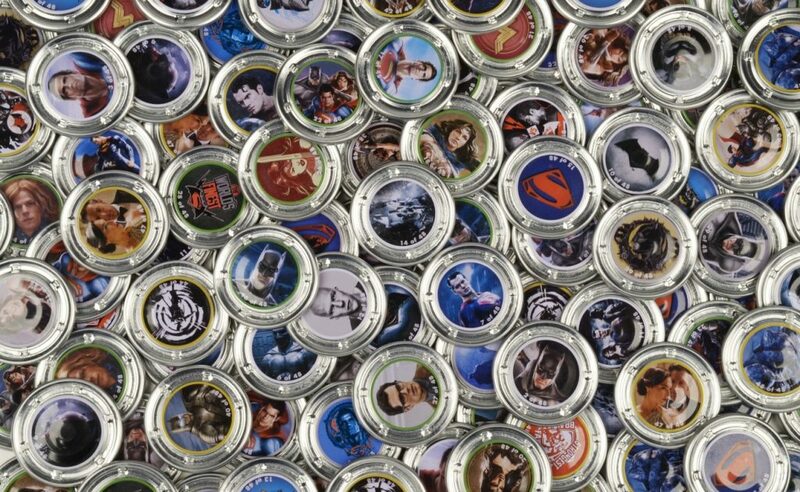 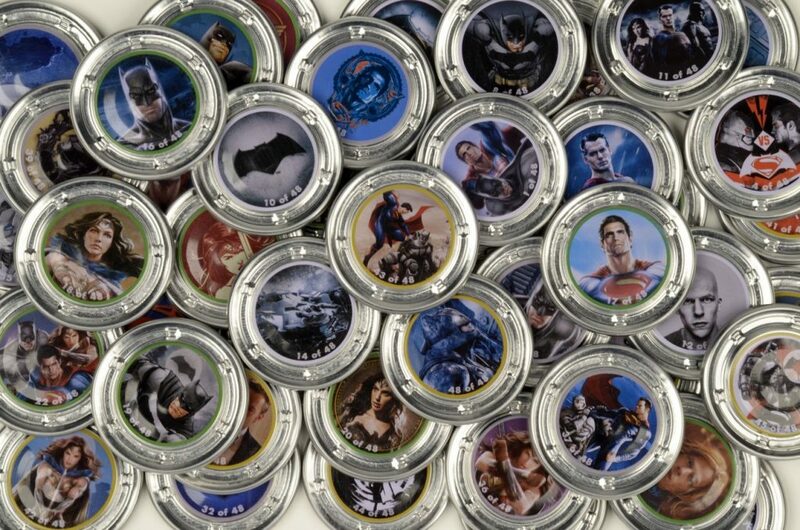 Introducing HUBSNAPS, the fun metal clickers featuring favorite characters from movies, comic books, TV and games! 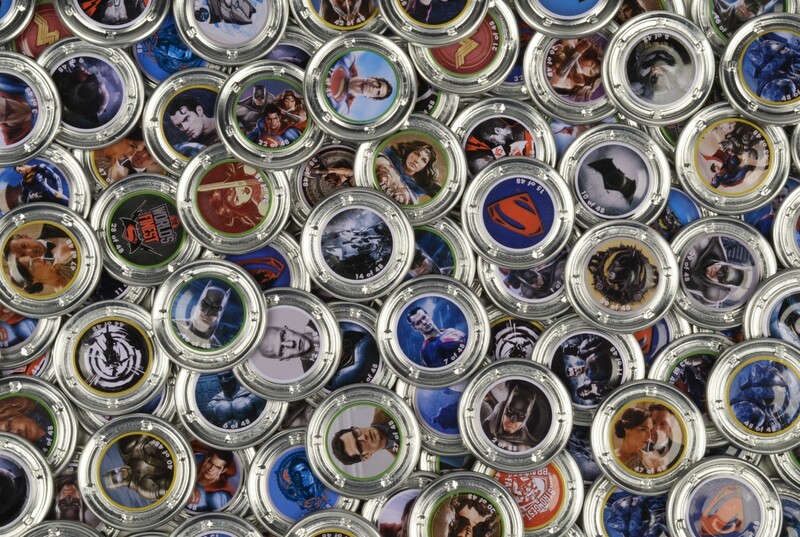 Play games with friends or get things snappin’ solo. 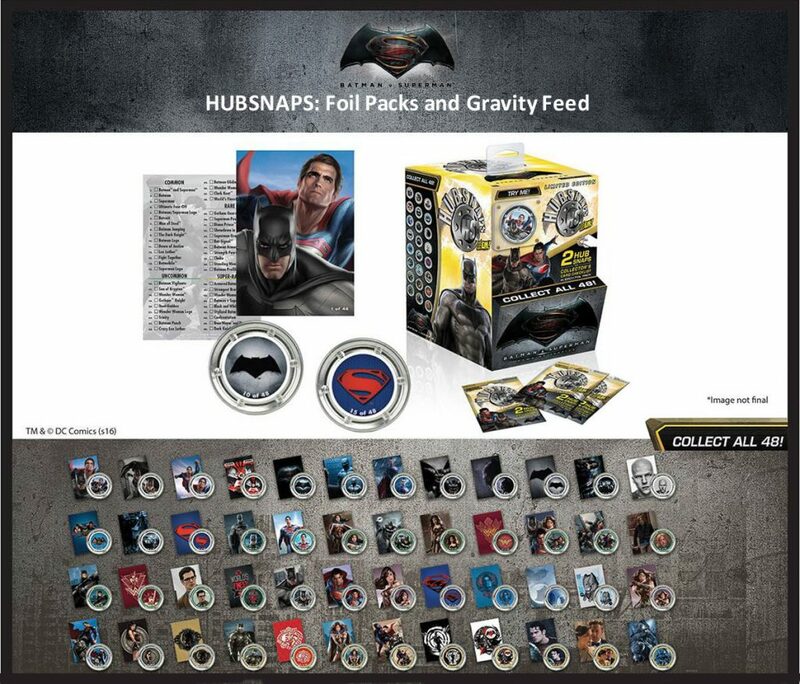 There are 48 HUBSNAPS to collect from the new movie Batman v Superman, including Batman, Superman, Wonder Woman and more. HUBSNAPS come 2 per foil pack and are perfectly pocket sized at 1.5″ across. 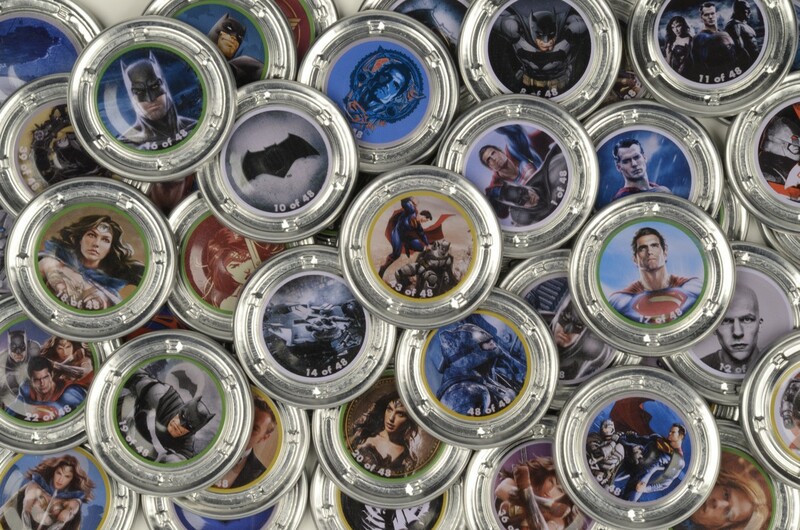 Collector’s card checklist also included. 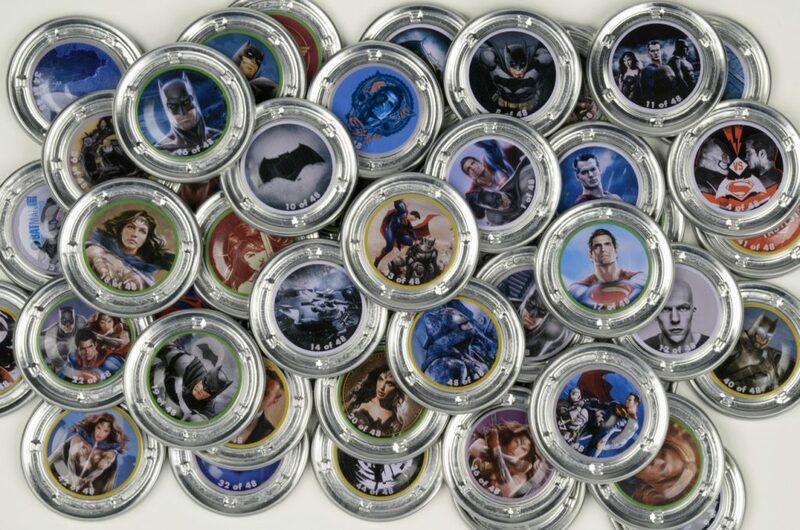 Each gravity feed contains 60 blind foil packs.